In response to the global initiative of HH Sheikh Mohammed bin Rashid Al Maktoum, Vice-President and Prime Minister of the UAE and Ruler of Dubai, the Roads and Transport Authority (RTA) has launched the world’s first Endowment Taxi; a taxi of the Dubai Taxi Corporation’s fleet whose income is dedicated to Public Transport Endowments. The overall objective of the move is to raise the awareness & muster support to the community efforts through the use of public transport means. 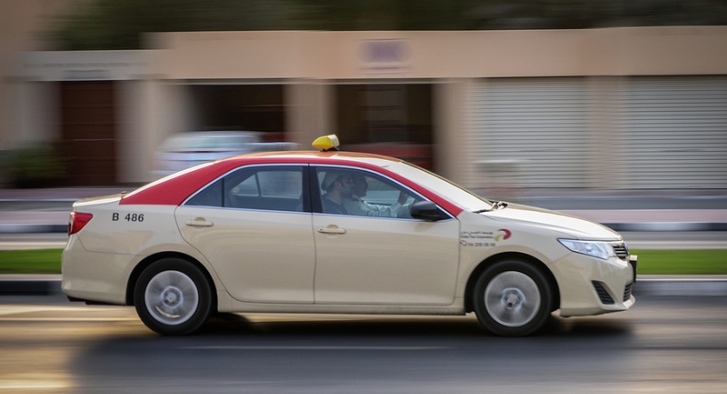 The Endowment Taxi will sport colours revealing the intended objective, and the Dubai Endowment Sign (Public Transport Endowment) will be displayed on the vehicle. Dr. Yousef Mohammed Al Ali, CEO of Dubai Taxi Corporation, stressed RTA’s commitment to support all initiatives & plans of the Dubai Government in various scientific, social, humanitarian and economic fields in line with RTA efforts to showcase its corporate responsibility towards various community segments at the local, regional and international levels. “Such a drive is poised to raise the profile of the UAE and Dubai at global humanitarian fronts, and support efforts aimed at bringing happiness and decent living for human beings,” said Al Ali. “The Mohammed bin Rashid Global Centre for Endowment Consultancy has a noble objective of delivering an array of endowment consultancy services in support of humanitarian ends through motivating and empowering endowments & grants to meet the social needs of peoples,” added Al Ali. It is noteworthy that the Mohammed bin Rashid Global Centre for Endowment Consultancy, which is one of the global initiatives of HH, is a consultative endowment body offering services to individuals & entities in support of humanitarian causes as well as social & economic development worldwide. The Center also seeks to motivate and empower endowments & grants for the benefit of community members and entities at the local, regional and global levels at no cost, just for the sake of realizing Dubai’s global vision for endowments & grants.